Teens from Southern California high schools and the Anaheim Ducks High School Hockey League took part in the event, where they learned evasive maneuvering for collision avoidance and car control for slippery surfaces ? an uncommon occurrence in Southern California ? from professional driving instructors. A blind spot awareness demonstration provided by KKW Trucking was a new addition to this year's event. It showed participants how to better share the road with large vehicles like tractor trailers ? fatal accidents involving passenger vehicles and large trucks saw the highest increase (9%) from 2016 to 2017 for all categories tracked by the National Highway Traffic Safety Administration (NHTSA). According to NHTSA, nearly six teen drivers died in a car crash each day in 2016 ? the leading cause of death for 15- to 19-year olds nationwide. Among the causes of teenage driving fatalities are speeding, not wearing a seat belt, driving under the influence, distracted driving and engaging in risky behavior with other teens in the car. 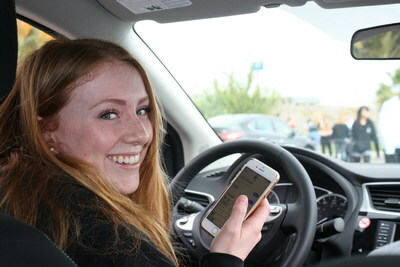 "I think Mercury's done an outstanding job offering this course to so many teen drivers and to the parents, for that matter, showing us skid patterns and antilock braking," said Harold Jagger, who brought his 15-year-old daughter to participate in the day's activities. "The DUI course for the parents ? I think that's fantastic. It really gives you an eye opener to what can happen and what does happen. And teens won't have practical experience unless they do some courses like this."